Pro-Line RC Body Paint Phase 3 « Big Squid RC – RC Car and Truck News, Reviews, Videos, and More! The crew over at Pro-Line have announced the release of Phase 3 of their rc airbrush paint line-up. Phase 3 ushers in a dozen new colors to help make your next custom paint scheme your best one yet! 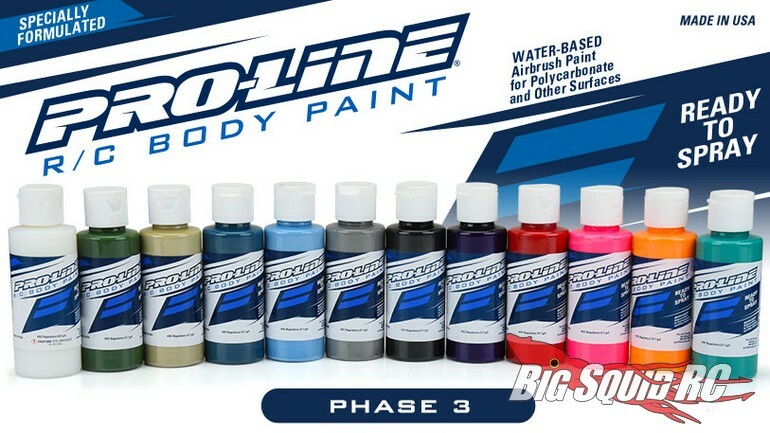 Street pricing for the Pro-Line RC Body Paints is right around the $6 mark and you can click on This Link to read more Pro-Line news on BigSquidRC.